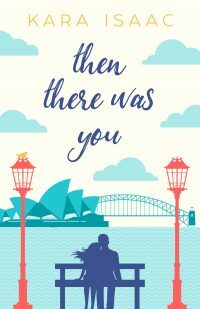 Enter below for you chance to win a copy of Kara Isaac’s new book, Then There Was You. Winner will be announced here next week! The truth is . . . I don’t have one! I used to have one years ago when I was convinced that all “real” writers have a writing desk. It was even set up in a cute little alcove with a gorgeous view and bookshelves and all the things that should make a writing room the place to well, write! But I never wrote there. 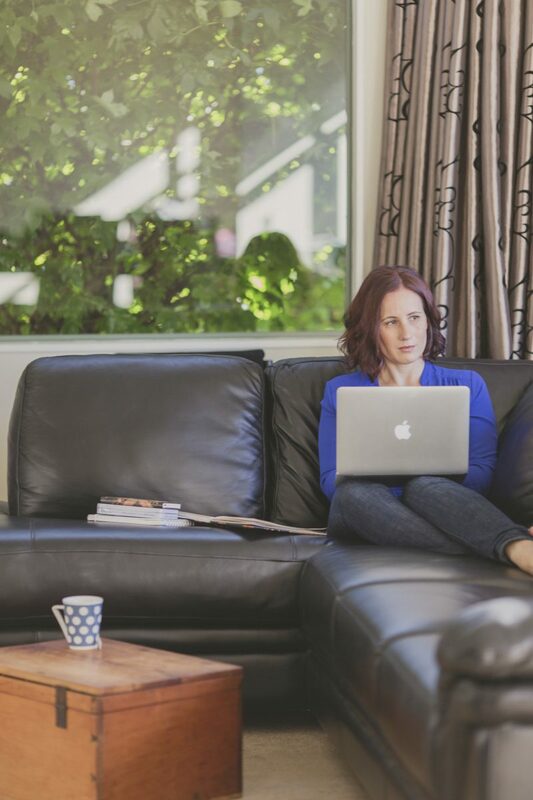 I always wrote sitting on my bed, usually rugged up because the house was an old villa with little insulation. Every now and then I would force myself to go to my writing desk and try to write. I would stare out the window, or get distracted by the books nearby, surf the internet but no storytelling happened. So, when I moved out of that house, I finally admitted to myself that I just wasn’t a desk writer and it got gifted to the Salvation Army. These days my favorite spot to write is the corner spot in the large couch in the “grown up” lounge (this is purely wishful thinking, my children pay zero attention to the designation!) I’m currently on maternity leave from my day job with my youngest so occasionally I get some writing in while he naps during the few days a week it is just the two of us and his brother and sister are at school and daycare but most of my writing is done at night once the three small benevolent dictators are tucked up in bed. If not on the couch, then the other place I write is in bed. Next to me is a bookshelf stuffed with my to-read books, with more books teetering on top of the shelves and still more piled up beside and under the bed (I like to have lots of options within reach!). If I’m in the first draft process then there will just be my laptop. If I’m in the editing process then there will also be research books, red pens, sticky notes, and pieces of paper with scrawled notes with changes that need to be made. 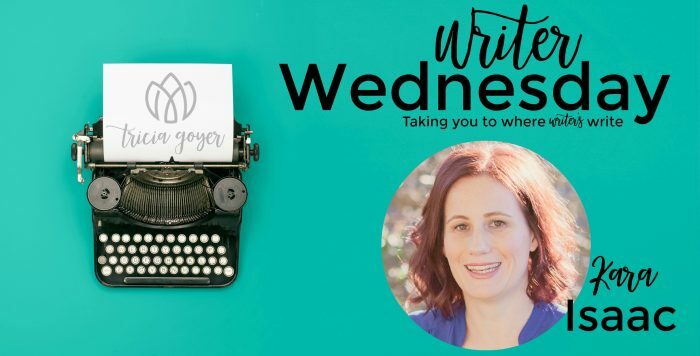 As I’m typing this my next book, Then There Was You, releases in four days so most of my time is being spent on things like guest blog posts, answering interview questions, preparing content for social media and organizing things like a Facebook launch party. I’m also reading through the next book of one of my critique partners before she hands it into her editor. Then my family and I are off for a couple of weeks in July but after we’re back I’ll be starting on a couple of new projects. One is Kat’s story (a character who appears in my first three books) and the other is one I hope to be able to share about soon. Josh Tyler fronts a top-selling worship band and is in demand all over the world. But, in the past, his failed romantic relationships almost destroyed both his reputation and his family. He’s determined to never risk it happening again. The last thing he needs is some American girl tipping his ordered life upside down. Especially one who despises everything he’s ever worked for and manages to push every button he has. Kara Isaac lives in Wellington, New Zealand. 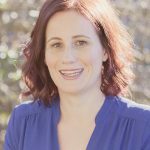 She is the author of Close to You, a RITA Award Double Finalist, and Can’t Help Falling, an RT Review Top Pick. Her next book Then There Was You releases on June 22. When she’s not chasing three adorable but spirited little people, she spends her time writing horribly bad first drafts and wishing you could get Double Stuf Oreos in New Zealand. One good thing that happened this week is that my husband and I were able to figure out where a strange smell was coming from in our home before it turned into a fiasco. We thanked God that he was looking out for our family! Thanks for the giveaway. Would love to win. You are a New to me author and I would love to read Than There was You. One good thing that happened to me this week was yesterday on July fourth. All my family came here to celebrate with my husband and I. We had a great time. Daughter and husband. Grandson who played his electric guitar for me. Granddaughter who bought her delicious brownies and her boyfriend and my two great grandchildren with her. We managed to get a family picture taken . First time we had everyone. One good thing that happened this week is the wonderful worship music at church on Sunday. Can you imagine what heaven is going to be like? One good thing that happened this week is that my young friend got to come home from the hospital after a five-week stay! A good thing that happened to me was I got some books finished that were on my TBR pile! One good thing that happened this week was a great holiday spent with friends and watching the fireworks. A good thing that happened this week was that I video-chatted with my sister and one year-old niece. They live a few states away, but we keep in touch often. My niece is so cute and always brightens my day! The best thing that has happened this week is that our large family has pulled together and reached out to help our second youngest daughter who has been in the hospital all week awaiting gall bladder surgery and now aftewards some complications. Child care, food, transportation. The siblings have all reached out and provided what was needed mostly without being asked. Makes this mom so happy. I am truly blessed. When raising 8 children one can only hope and pray that they will grow up to love and care for each other. We are official moved – in to our new home. We are done moving and we are in just not completely done moving in to make it home but that will come with time and the pace can slow down a bit. We have returned the borrowed flat trailer and no more U-Hauls in our future. That in itself is a blessing! My son turned 3 this week and my husband and I celebrated 10 years of marriage. It has been a fun and blessed week!